What would our world look like if our energies were focused on LOVE over fear? What would our world feel like if everyone was given equal respect, rights, and compassion? The Buddha once said, “All that we are is a result of what we have thought. The mind is everything. What we think we become.” Similarly, Oprah states, “What we focus on expands, and when you focus on the goodness in your life it expands.” Thanks to Hallmark, February has been coined in the Western world the month of LOVE. We can see it as excess waste in paper cards, chocolates, and roses, or welcome this tradition as an appropriate time of reflection to really settle our thoughts on just what is it we LOVE… about ourselves, our lives, our hobbies, our friends, our communities, our culture, and our global community. In a time when there is so much suffering in our communities and world at large, let us allow for more energy, thoughts, and time to be spent reflecting on just what is it we LOVE. We are excited to offer the Lila community more opportunities to experience love in the form of self care, movement, and connection. New classes are being added to our weekly schedule, a handful of amazing offerings (including partner yoga and sharing yoga with friends) are coming up this month. Please read below and invest in your own source of love. I was listening to one of my teacher’s interview Benjamin Hardy (psychologist, writer, father, go-big-or-go-homer), and heard him mention this concept of success that most of us have all upside down. It is called, “Be, do, have.” For most of us, we think we first need to have, before we can do and be. Once we have x, then we can be and do y and z. Insert what is true for you… once I have enough money, once I am this knowledgeable, once I get to this weight, once I have the ability to do handstand, etc, then I will be able to do the things I want to do, be an expert, be healthy and happy, feel empowered, you name it. Through his studies and work he has found that most successful people reverse this order and live instead in the reality of “Be, Do, Have.” In order to have what it is you want, you have to first be and do the things that will get you there. Who do you need to be in order to have what you want in your life? This concept can be applied to any goal you have. But, of late, I have been thinking of this concept and how it relates to love in my own life and in our torn and divided world. It is no question to anyone that we need to have more love in our world. In order to have more love, we need to be love. We need to practice love, compassion, kindness to ourselves, our families, our friends, and those who are not our friends. We need practice love and kindness to all things on this planet. Once we can Be love, practice love or Do love, then we can truly feel and Have love. As a challenge to our community, kula, I challenge us all to really focus this month on raising the bar of love to ourselves, our neighbors, and to our planet. How will you practice loving kindness first towards yourself and all those around you? What are ways in which you can create a more loving environment for you to life in? What daily habits can you embrace that show that you care for yourself? Be it pouring yourself a cup of warm tea, kindly talking to yourself (and to take note when you are not), taking a deep breath, quieting your mind with a walk in the woods. How can you Be love? How can you show love? Help a neighbor, surprise someone with a homemade dinner, write someone a love song, show someone you care with smile, recognition, listening. There are many ways to focus our thoughts and energies towards love and kindness. May your efforts to raise the bar of LOVE help to lift some of the suffering faced in our world. 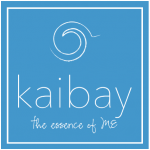 Tips off the mat for showing loving kindness to yourself – You may have noticed the new display at Lila showcasing Kaibay Oils? Kaibay was created by my mother, sister and I coming together to dream up the best products for our clients. My mother and sister are both massage therapists and have been using the highest grade healing oils in their practices for years. It is due time that I start offering up these healing powers to those at Lila. How to use these oils? Simply opening up the bottle and smelling them can do wonders. But, another way is to explore Abhyanga, the Ayurvedic oil massage – offers a daily ritual that brings a sense of connection, grounding, and overall health and well being into your life. During the winter months when the air is dry, cold, and mobile, it is recommended to use a heavier, richer, and more grounding oil. Sesame oil is rich and thick in nature and can offer a warming effect to your whole being. Steps to Abhyanga… the practice of self massage. Warm up oil (can place bottle of oil in hot water to warm). Place small amount of oil into your hands and begin to massage your body. If doing this in the morning, move from your feet up to your head for a more uplifting experience. If doing this at night, begin at your head and work your way down to your feet. Let the oil sit on your skin for about 20 mins. Take a warm shower or bath to help allow the oils to thoroughly seep into your skin. Note – you can also lather yourself up after a shower or bath, using the oil like you would lotion. Just be mindful the oil may get on your clothes and your sheets. Sesame oil with a few drops of grapefruit offers an uplifting start to your day. Grapefruit has many healing qualities, some include its ability to counter depression, boost immune system and stimulate brain function are among the few. This is best used in the morning. Small steps to adding self massage into your daily routine, just try massaging your feet and legs right before bed. Take special care and attention to feeling feel your feet, toes, and legs. As you massage give gratitude for the miles walked and the ability of your feet and legs to hold your body. Share your love with a friend! For the whole month of February we invite you to bring a friend who has never been to Lila before… for FREE! Introduce them to Lila as a gift from you, on us;).